If you live in the Boston area, please come into Winthrop to experience the finest dental care around. Your Boston dentists, Dr. Howard Brooks and Dr. Barry Brooks, along with their associate dentists, Dr. Martins and Dr. Doyle, encourage people of all ages to take advantage of their premiere dental practice. You’ll find experience, skill, and patient-centeredness all in one dental office, allowing you to achieve your best looking and functioning smile. 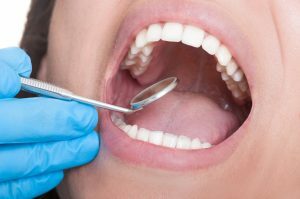 Can’t Any Dentist Provide Preventive Care? Yes, you could have your teeth checked and cleaned by any licensed dentist, but why would you when you can you can avail yourself of the best dental care provider around? Digital X-rays, tooth scaling and in-depth oral exams, including oral cancer screening, are performed thoroughly and thoughtfully with your medical/dental history and your cosmetic goals in mind. Depending on his or her findings, your dentist near Boston devises a personal treatment plan. These step-by-step recommended preventives preserve your health for the long run. If you require periodontal therapy, for instance, your dentist near Boston uses Arestin antibiotic therapy to heal your gums and Periostat maintenance therapy to increase the effectiveness of traditional tooth scaling and root planing. In addition, the dentists offer plastic sealants to ward off tooth decay. They also deliver nightguards, customized splints which cushion your teeth if destructive grinding (bruxism) is an issue. Don’t All Dentists Offer Restorations? Plus, each restoration is precision-crafted with the highest quality materials and placed with your comfort in mind. Brooks Dental eases patients through complex restorative work with fully-monitored oral conscious sedation. How your smile appears to others, and more importantly, to yourself, determines how well you function in the world. Dr. Brooks and his colleagues believe even a little aesthetic boost in the color, shape or alignment of your smile can improve your life in so many ways. You can schedule a friendly consultation with one of our dentists to determine what treatments suit your smile best. If you do, we know you’ll love Brooks Dental. Please contact our friendly office staff to arrange your first appointment. We anticipate years of healthy smiles!